On the Key 2, the body’s a hair thinner. 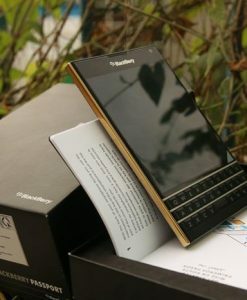 It’s a boxier design with sharper corners, but the overall look and feel is still unmistakably a BlackBerry. It’s easier to grip in one hand and doesn’t feel as bulky in your pants pocket. I also like that the power button has moved from the oddly positioned top left to a more accessible lower right side; the ribbed texture is also a nice plus. The back of the phone’s still got a nice grippy matte texture that prevents it from sliding off a table — it’s a nice change from the slippery glass backs so many phones sport now. 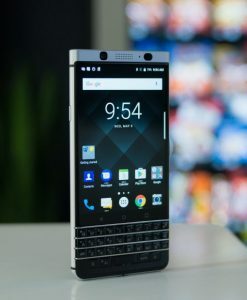 Other changes that modernize the Key 2’s design include a screen that now stretches closer to the top. The display’s still the same 4.5-inch (1,620 x 1,080 resolution) touchscreen with 434 pixels per inch (ppi). 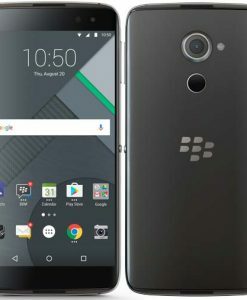 Inside, the phone’s powered by a Qualcomm Snapdragon 660 chip, 6GB of RAM, and 64GB of storage (twice as much as on the KEYone). Select markets will also get a version with 128GB of storage and dual SIM card slots. There’s also a microSD card slot for storage expansion if 64GB of storage isn’t enough down the road. 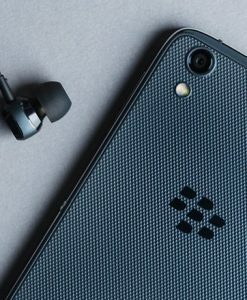 The Key 2 also retains the headphone jack. 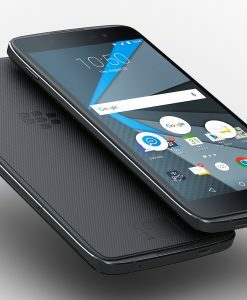 I got up to two days of battery life when I reviewed the KEYone and BlackBerry says that should remain about the same. 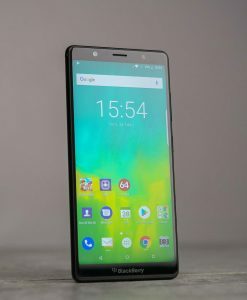 The battery capacity’s a slightly smaller one — 3,500 mAh versus 3,505 mAh on the KEYone — but thanks to the more power-efficient Snapdragon chipset, the phone’s stamina shouldn’t take much of a dip. On the back, you’ll also find a much-needed camera boost. There are now two cameras on the back — both dual 12-megapixel shooters. The main camera lens has an f/1.8 aperture for solid low-light shots and the second is a 2x telephoto lens with f/2.6 aperture. Up front, there’s an 8-megapixel selfie cam with f/1.8 aperture. 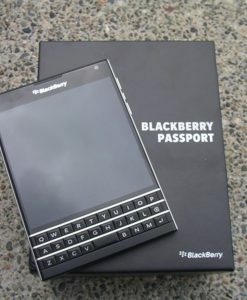 A BlackBerry isn’t a BlackBerry if its keyboard is garbage. Fortunately, the Key 2’s keyboard is very, very good. 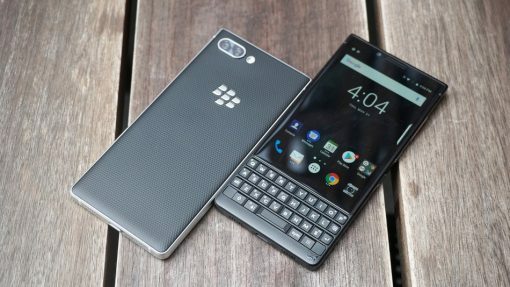 The KEYone had a fine keyboard, but the glossy keys were a little too mushy at times. BlackBerry has improved the Key 2’s QWERTY keyboard by giving the rows more room to breathe. The keys are 20 percent larger and no longer have frets. In my brief hands-on with the Key 2, I was able to quickly bang out sentences faster on the new phone compared to on the KEYone. The keyboard’s definitely a better typing experience and I think if you’re a keyboard junkie, you’re going to like it very much.